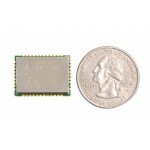 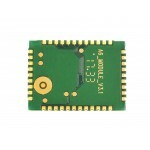 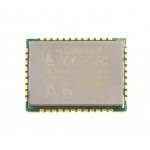 The A6 Module provides a serial port to communicate via GPRS, sending text messages and phone calls. 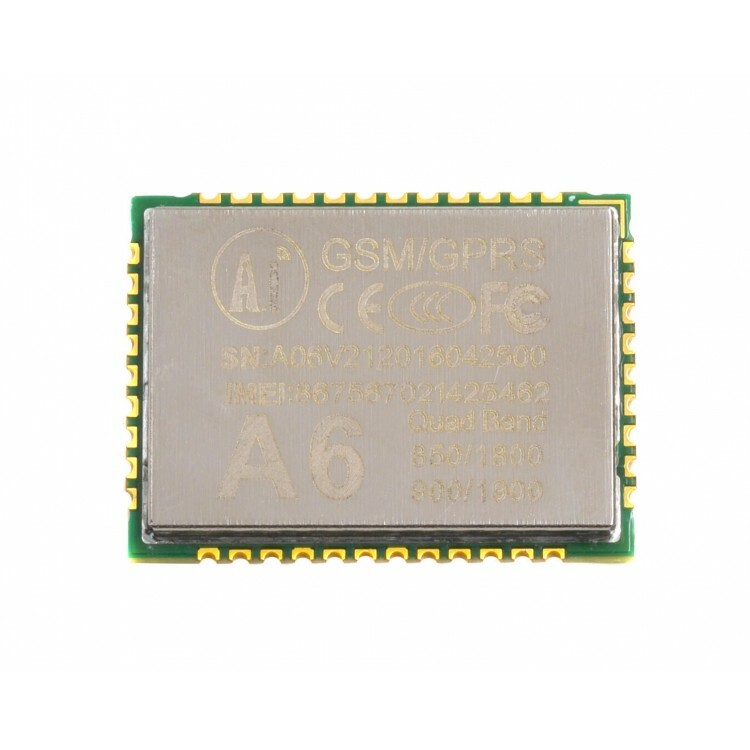 The GPRS functions can be used for IoT project which does not require WiFi connection condition. 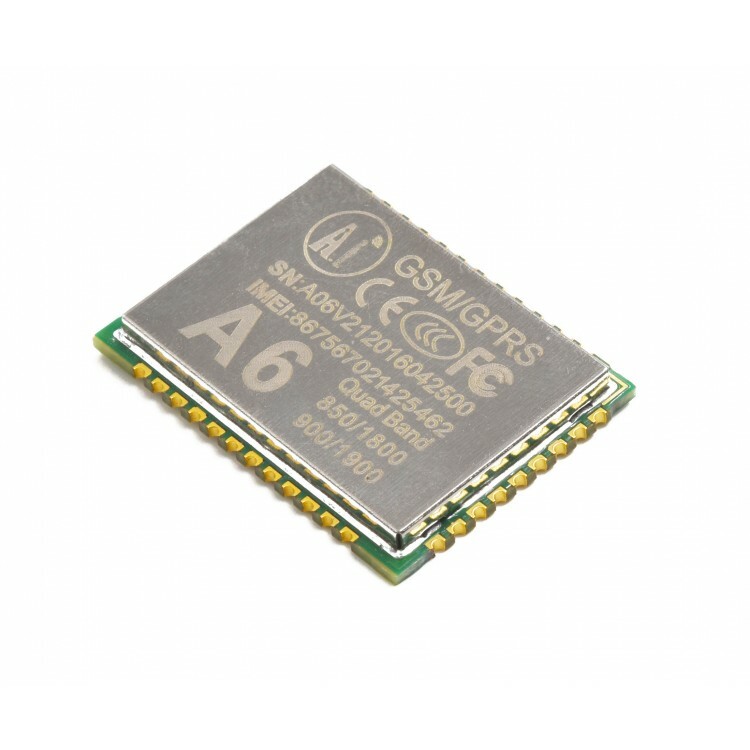 The GSM functionality of the module provides more ways to send commands to your IoT device. 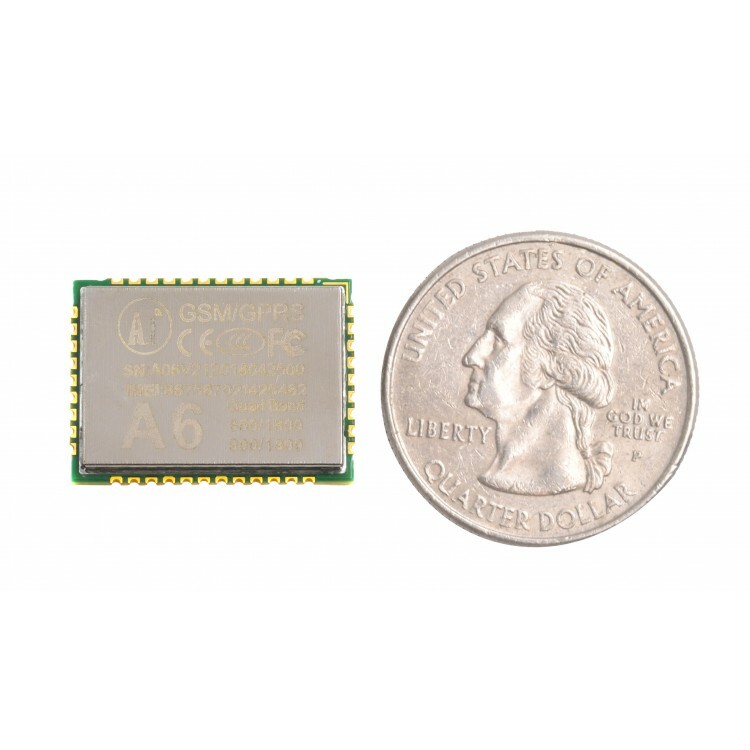 Combine with our breakout board and get started on your IoT communication! The module comes pre-soldered to the board and contains all the necessary circuitry and components to run the A6 module, such as a mini SIM card slot and antenna..